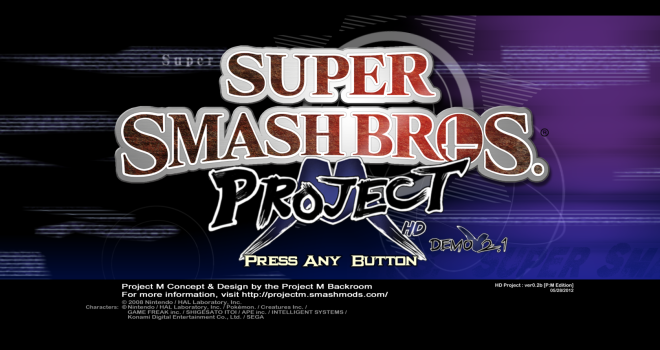 For those of you how don’t know, Project M is a fan-made modification of Super Smash Bros Brawl where characters get fixed, added, and modified with new moves and costumes. It was made by a very hard working and intelligent community who felt Nintendo definitely screwed the pooch on Brawl’s development. Here are a bunch of possibly unemployed computer geeks who can do game development better than trained professionals. 1) Do I need this? If you feel that Brawl needed to be fast paced and a little less “trippy” then this is for you. 2) What is the point of this? To answer that ignorant question, this mod is pretty much for the competitive Smash Bros players. 3) What if I want to do it? All you need is a Wii, an SD card and, a copy of Super Smash Bros Brawl. And, maybe some instructions wouldn’t hurt either. 4) No big deal, Nintendo will shut it down: No, they won’t. They knew of its existence since 2011. This isn’t piracy or anything illegal like that. Since it’s all free, the team isn’t stealing money from Nintendo’s pocket. So Nintendo can’t do anything. They are just showing them how to properly develop a fighting game. You… Are aware that Brawl, and by extension Project M, can play on a Wii U, right?